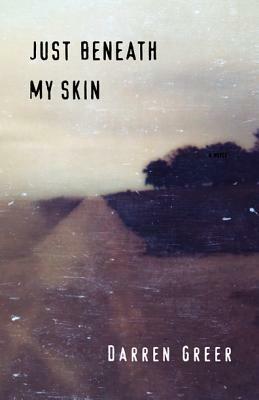 Just Beneath My Skin recently won the Thomas Raddall Atlantic Fiction Award. The competitors for the award this year were Sweetland by Michael Crummey and Crimes Against My Brother by David Adams Richards. I haven’t read Crimes Against My Brother, but Sweetland was one of my favourite books last year. I had to know what kind of book could beat out such strong competition. Just Beneath My Skin was good. But, I still prefer Sweetland. 1. Just Beneath My Skin is a short book, which is okay, but just when I was getting into it, it was over. 2. It would be hard to come up with a character I liked as much as Moses Sweetland. 3. Sweetland made me smile and laugh at times. Just Beneath My Skin is good, but it didn’t touch me in the same way. 1. The story. After getting away for a while, Jake has come back to small town North River to claim his 8-year-old son, Nathan, but the sketchy characters from his past don’t want to let him forget who he is and where he came from. Sometimes that’s the way I felt in North River. Like we were all living the same lives over and over again, with no way out, with no one to write us. 2. The characters. I found the characters compelling and believable. Nathan, in particular, is believable as a young boy who is confused about the behaviour of the adults around him, but finds ways of blending in and trying to anticipate their moods and actions ahead of time. Besides Jake and Nathan, there’s Nathan’s lonely alcoholic mother, Jake’s religious and well-meaning father, and Jake’s old buddies, Johnny and Charlie. If there was one character who was hard to wrap my head around it was Johnny Lang, intent on keeping Jake from getting ahead in life. But that is probably just because I (fortunately) have never known anyone like Johnny. The thing with Johnny is you are either a friend or an enemy: there is no in-between… Being either is dangerous. 3. The writing and structure of the novel. The book is made up of short chapters, alternating between the perspectives of Jake and Nathan. This makes for a quick, intense read. The tension really builds at the end, as Jake and Nathan are both headed for danger; two very different kinds; and you are hoping both are going to make it through unscathed and unharmed and finally together. Nathan’s staring up at me, trusting me, counting on me. I feel scared then, more scared then when I thought Johnny was gonna kill me in the swamp. I turn out the light quick and leave the room, because I can’t take him looking at me like that anymore. I feel like I am giving Just Beneath My Skin an unfair review, because I am comparing it to Sweetland. (Sorry, Darren Greer!) The fact is, this is a good book, and I can see why it won the award. It says a lot about the challenges of growing up in a small town and getting in with the wrong crowd. It also explores the intricacies between three generations of fathers and sons who show their love in ways that are not always obvious. It is bleak, but strangely hopeful. I blamed God when my mother died and stopped praying, and my father blamed the world and stopped laughing. Just Beneath My Skin is the third book I have read since starting this blog that has either taken place in Nova Scotia or has been based on events that took place in Nova Scotia; the other two being When The Saints by Sarah Mian and Our Daily Bread by Lauren B. Davis. If a person were to read these 3 books in a row, they might get the idea that Nova Scotia is a dismal and backwards place to live, full of addicts, abusers, and murderers. This is not true – some of us are nice, and like to read. And the scenery is nice, too. I promise. I remember summers, full of fresh green grass and baseball and the smell of pine needles and cool river water and June bugs and badminton rackets and BB guns and the sweat of horses and fire in the fields in July and sparklers and moons and stars and indigo skies and blueberries and trout and lowing cattle and Ferris wheels and bare feet and inner tubes and swimming lessons and half-smoked cigarettes and fire hall junior dances and The Eagles and my first pint of lemon gin and corn roasts and the smell of insect repellent and hammocks and buttercups and stink bugs and swallows lined up on the telephone wires that scatter with one well-aimed rock and Popsicles and Moon Rocks and sleepovers and tents and nighthawks and the sweet smell of fresh-cut hay. A review at the Quill & Quire that says everything I wanted to say, except better. Visit Darren Greer’s blog to find out more about him and his other books, including Still Life With June and Tyler’s Cape. I will definitely be reading more from this author in the future. My book group read and loved Sweetland, which is part of what prompted us to put Just Beneath My Skin on our list of books to read soon. I’m curious to compare the two. Love that paragraph about summer in NS! Thanks very much for this timely post. I think your book club will like it, and there are definitely some themes to discuss. Let me know what everyone thought of it when you’re done! I think the fact that you will read more by Darren Greer is a good endorsement. Sometimes, even very good books don’t quite stack up when compared to great books. The setup of this one certainly sounds intriguing, especially since the quick back-and-forth between perspectives seems to work well. I really did like this book, but it was tough comparing it to Sweetland, which I loved so much. I am glad that I read it – now I know that I like his writing and the style of it. It’s great for when I’m in the mood for something sombre. And, the book itself is a quick, powerful read. That’s my biggest challenge with short stories, as well. I have to be in the right mood for them. Thanks for the suggestions! My most recent favourite is Eating Habits of the Chronically Lonely by Megan Gail Coles. I was looking so forward to the next story that I didn’t mind the previous one being over. I don’t blame you for comparing this book to Sweetland since they were being judged in the same competition. I think it makes me want to read both books even more so I can judge for myself. I like that you put the disclaimer about getting the wrong impression about Nova Scotia. Now I also want to read the David Adams Richards book. But, I was most anxious to read the newby. That’s one of the things I liked about it – I was driven forward by the short chapters. I could always say “just one more!”. I have a copy of Sweetland now, and it just has to work its way up to the top of my pile. I think it’s coming up fairly soon in the pile, but I’m running about two months behind in my reviews. His Still Life with June is one of my favourite books, and I quite enjoyed his essays as well. This one is still on my TBR, but I’m keen, for sure! Oh, good to know! I will have to get to it sooner rather than later! Well…you just introduced me to two books that sound fascinating! Always enjoy reading your thoughts on what you’ve read, Naomi!